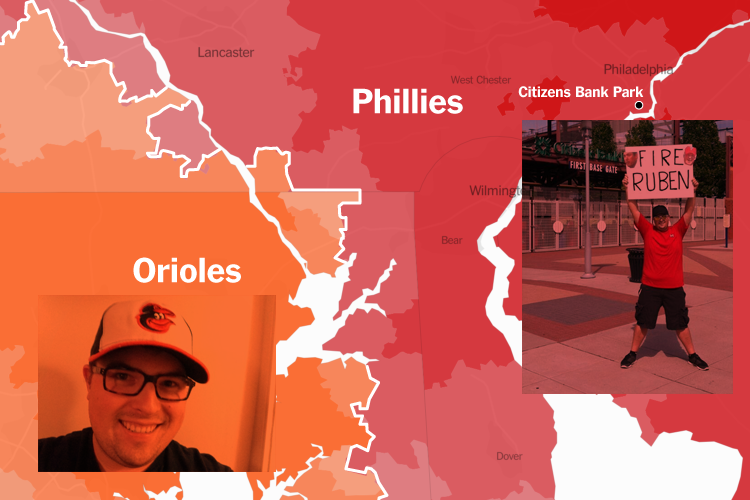 If you get a chance today, you should really check out the NY Times'* interactive maps of baseball fandom. As always, they do great work and you can spend hours of your work day zooming in and out and learning stuff. 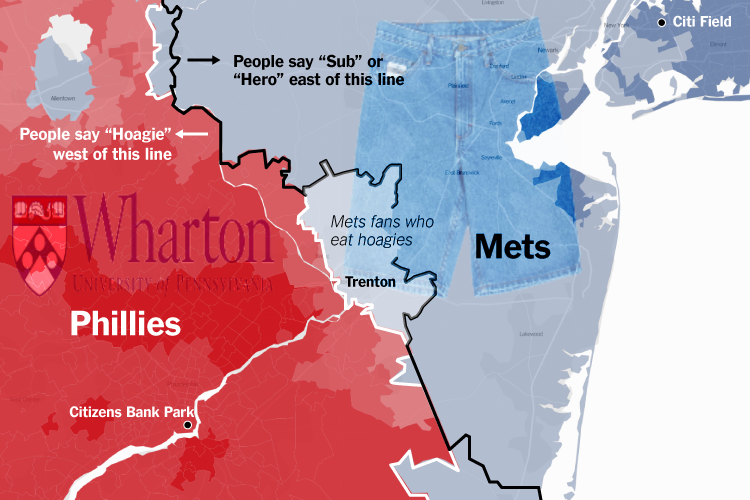 "There’s no other way to put it: The Yankees are the preferred team everywhere in New York City, and nearly everywhere in the U.S. over the Mets (in more than 98 percent of ZIP codes nationwide). 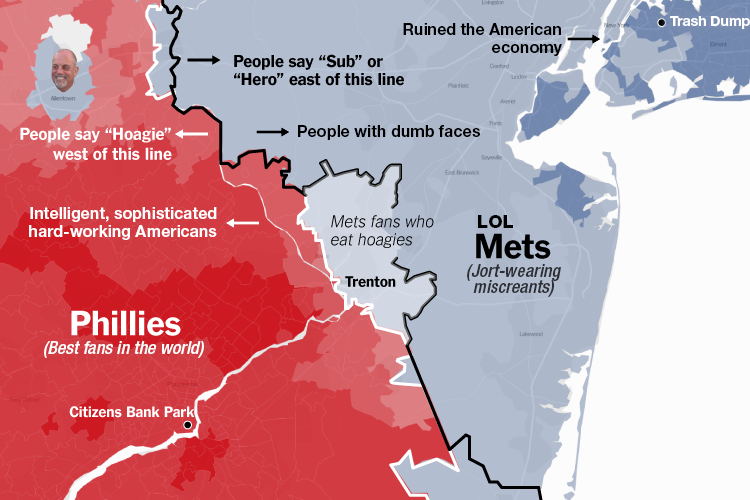 One small Mets bright spot, if you want to call it that, is that in the area in Queens surrounding Citi Field, where the Mets play, Facebook users had the courtesy to prefer what some call the Evil Empire at a slightly reduced rate relative to its advantage elsewhere in New York." Of course they are, people are mostly band-wagon fans who "root" for winners. Every casual baseball fan or non-baseball fan is a yankee fan. It used to be true that casual fans in unaffiliated areas tended to break for the Yankees, but now the Red Sox have caught up or passed the Yankees in a number of those spots. Another bandwagon effect of recent RS championships. The Yankee dynasty will live forever. Than Yankees are 1600's England--once a worldwide power--now, just an also-ran who pretends they're still at the top. You are the AOL of baseball teams. If the Yankees are AOL then the Phillies are ENRON. With such a large population outflow from NY and bandwagon followers, of course you have to figure a lot of Yankee fans across the country. 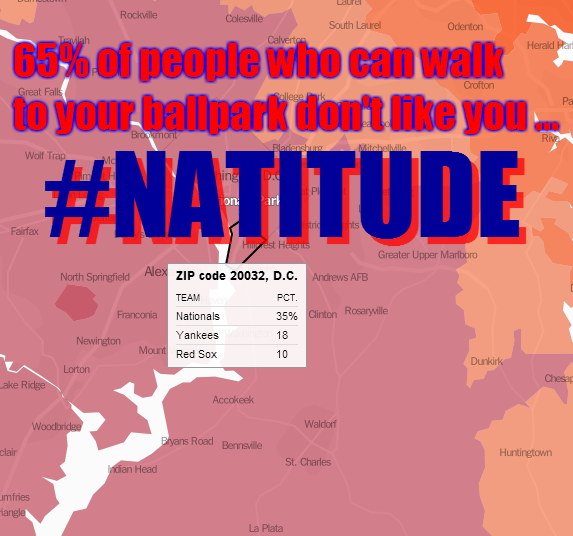 How much of the Red Sox popularity is similar or just that a lot of people just hate the Yankees...lol.